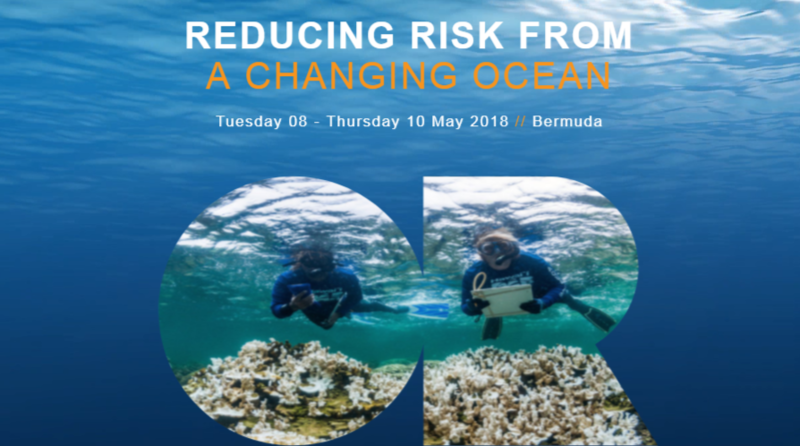 From 8-10th May 2018, Bermuda will host leaders from across the political, economic, environmental and risk sectors for the first-ever Ocean Risk Summit at the Fairmont Southampton. According to the summit’s website “The event will present high-level speakers providing expert data, analysis and innovative tools to help participants identify potential exposures to ocean risk and prepare to tackle its broad-ranging consequences. Together, attendees at the summit will help generate new and dynamic solutions. The summit website goes on to describe Bermuda as being “ in a unique position to highlight ocean risk and take a leading role on behalf of other small nations as both a centre for marine science and a hub for the re/insurance sector. The island is on the frontline of ocean change, exposed to declining fish stocks, an expected increase in tropical cyclone intensity and rising sea levels. Those set to speak at the summit include Mike McGavick, CEO of XL Catlin; José Maria Figueres, Former President of Costa Rica and Founder of Ocean Unite; Hon. Carol Browner, Senior Counselor at ASG and previous Director of the White House Office of Energy and Climate Change Policy under President Obama; Peter Thomson, the United Nations Secretary General’s Special Envoy for the Ocean; Bill Curry, the President and CEO of BIOS; and John Podesta, distinguished visiting professor at the Georgetown University Law Center and previous Counselor to President Barack Obama. The hour-long sessions taking place on the 9th and 10th of May will examine ocean risk from a Bermuda perspective as well as an insurance, national security, economic, and health perspective, amongst others. On May 9th, the day with conclude with a “Dinner and Bermuda cultural evening” while the summit as a whole will conclude with a Gala dinner on May 9th hosted by Lewis Pugh, UN Patron of the Oceans. To register for the summit or to learn more visit their website here.